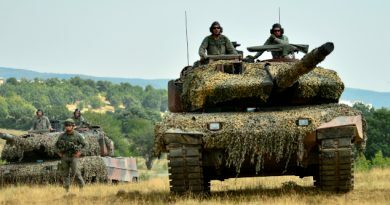 While high-value military hardware procurement programs feature most prominently as vehicles for corruption in this compendium, less visible but equally critical contracts are also susceptible to graft. A now-four-year scandal stemming from corrupt port services contracts has rocked the U.S. Navy’s Pacific operations, implicating officers and civilians up and down the ranks. Prosecutors determined that a contractor based in Singapore, Glenn Defense Marine Asia Pte. Ltd. (GDMA), which provided everything from meals to tugboat services to the U.S. 7th Fleet, had bribed more than two dozen officers, enlisted, and civilian employees to not only provide confidential information on ship movements, but to steer Navy ships toward harbors that offered a higher profit margin to GDMA. The bribes also netted the company information about its competitors’ bids and favorable recommendations within the contracting process. As a result, GDMA was able to overcharge the U.S. Navy and maintain a competitive edge in contract tenders across East Asia. Services sold: Port services (“husbanding services”) across the Western Pacific, including tugboat services, management of port authority and customs fees, and provision of food, fuel, trash and waste removal, and transportation. Value of deals: Total contract value of USD 33 million between 2008 and 2013, according to USASpending.gov; figures for previous years not available. Prosecutors have asked the courts to apply penalties based on Leonard Francis having profited from the bribes by a sum of between USD 7 and 20 million. Leonard Glenn Francis (a.k.a. ‘Fat Leonard’) – President and CEO of Glenn Defense Marine Asia Pte. Ltd. The chief bribe-giver in the scandal, he agreed to a plea deal in January 2014 and awaits sentencing. Michael Vannak Khem Misiewicz – Commander, U.S. Navy. Previously, the deputy director of operations for the 7th Fleet; pled guilty to providing lists of ship movements to Francis and taking bribes in cash and entertainment. Prosecutors allege that Misiewicz had the closest personal relationship with Francis. Sentenced to six and a half years in prison. David Alexander Morales – Commander, U.S. Navy. The first officer to be tried by a military court for accepting bribes in the scandal, Morales was groomed to replace Misiewicz as Francis’ primary contact, according to prosecutors. Robert Gilbeau – Rear Admiral, U.S. Navy. The most senior officer to plead guilty as part of the conspiracy, Gilbeau was a supply officer who deployed to the Western Pacific. He pled guilty to making false statements, but not to bribery or corruption. Sentenced to 18 months in prison. John B. Beliveau II – Supervisory Special Agent, Naval Criminal Investigative Service. Pled guilty to leaking information on criminal probes into GDMA in exchange for bribes. Sentenced to 12 years in prison. Ted “Twig” Branch – Vice Admiral, U.S. Navy. Named, but not charged, in the scandal. The admiral was serving as deputy chief of naval operations for information warfare and director of naval intelligence when his security clearance was revoked in 2013 as a safeguard. Left: Leonard Glenn Francis (‘Fat Leonard’). Right, clockwise from top-left: Admiral Ted ‘Twig’ Branch, Rear Admiral Bruce Loveless, Captain Daniel Dusek, Rear Admiral Robert Gilbeau. Department of Defense photos; photo illustration by POGO (www.pogo.org). 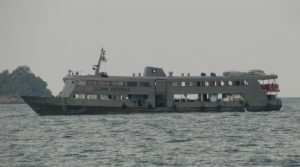 Glenn Defense Marine Asia Pte. Ltd. (GDMA) and its owner, Leonard Glenn Francis, provided the U.S. Navy with supply services for over 25 years before their indictment in 2013. Francis, a Malaysian citizen resident in Singapore, was widely known by the nickname “Fat Leonard, ”and had established GDMA as a major player in the U.S. 7th Fleet’s area of responsibility in the Western Pacific. Between 2006 and 2013, GDMA had won specific contracts for “husbanding services,” in Singapore, Japan, the Philippines, Malaysia, the Pacific Islands, and South Asia; in 2011, it won region-wide contracts that covered maritime Southeast and East Asia. The contract for the Southeast Asia region, as described by prosecutors, had a USD 25 million base value, plus markups on specific items (for 2011 Southeast Asia Contract). In ports, it provided tugboats to guide Navy ships into harbor, personnel to offload trash and liquid waste from ships, transportation for sailors ashore, and intermediaries to handle port and customs paperwork. In short, it was an important component in the U.S. Navy’s logistics operations and had solidified its position as a contractor in a narrowly contested market. A Glenn Defense Marine Asia ship at Kota Kinabalu, Malaysia, Oct. 1, 2012. Flickr/Creative Commons, Jason Thien. In 2010, the Naval Criminal Investigative Service (NCIS) opened two fraud investigations into GDMA’s contracts with the U.S. Navy. Thanks to John Beliveau, a NCIS officer who had previously served in Singapore and come in contact with Francis, GDMA was able to avoid accusations for at least two years. Beliveau leaked details of the investigation to GDMA and coached Francis on how to respond to agents’ queries. In 2012, however, the NCIS opened yet another investigation into the possibility that GDMA was over-reporting the cost of a sub-contract. Beliveau once again attempted to help GDMA but was arrested in September 2013. At the same time, the two main co-conspirators, Leonard Francis and Michael Misiewicz were also detained and charged. Francis’ guilty plea, agreed in January 2014, outlined the purpose of the bribery scheme. In exchange for cash, gifts, luxury travel, and prostitutes, the U.S. Navy officers implicated in the case provided Francis with confidential information on ship schedules and the contracting process for husbanding services. This helped GDMA in at least two major ways. First, GDMA gained information on its competitors and was able to manipulate the contracting process to favor its bids. Second, Francis requested that Navy operations planners change ship itineraries so that U.S. vessels would dock at the port where GDMA earned the most revenue. U.S. prosecutors allege that this quid pro quo earned GDMA and Francis up to USD 20 million in illicit income over the normal face value of the contracts GDMA would otherwise have earned. Less conservative estimates put the total value of goods and services overcharged at up to USD 38 million. Over the course of the next four years, 21 U.S. Navy officers and five civilians—mostly serving or having recently served in the U.S. 7th Fleet—have been charged with receiving bribes from GDMA. In addition, five GDMA employees, including Francis, have pled guilty to providing the bribes. As the scandal has advanced up the ranks, even serving and retired admirals have been implicated or charged for their involvement in the scheme or in covering it up. For example, Rear Admiral Robert Gilbeau was sentenced for giving false statements to investigators and is serving an 18-month prison term. As the investigation has unfolded, military prosecutors have stepped in to bring charges within the military justice system where a threshold for prosecution in civilian courts was not reached. In total, the military has examined potential charges against 440 officers, including retired personnel, of which 60 are admirals. The Washington Post has reported that investigators took measures to keep even the Navy’s chief of naval operations, who also knew Francis, in the dark regarding the breadth and focus of the probe. In February 2015, the Secretary of the Navy censured three rear admirals who were implicated but not charged in the conspiracy. As a result of the censure, all three were forced to retire. Earlier, in December 2013, shortly after the scandal became public, the Navy also began a review of its supply contracts worldwide. Update (July 16, 2018): In March 2018, a military court fined two officers for dereliction of duty and conduct unbecoming an officer. In June 2018, the secretary of the navy issued letters of censure to two retired officers, a rear admiral and a captain, and a serving captain, for taking gifts from Francis. Update (November 26, 2018): The U.S. Navy further censured a retired two-star admiral, Mark C. Montgomery, for graft and taken illicit gifts from Francis. An investigation into Montgomery concluded that he committed the illegal acts between 2007 and 2009, beyond the statute of limitations for the crimes. Montgomery had previously been nominated to be an assistant administrator at the U.S. Agency for International Development; his nomination was withdrawn on Nov. 15, 2018, without public explanation. Prior to his retirement from the U.S. Navy in October 2017, Montgomery had served as director of operations for U.S. Pacific Command. After retiring, he worked for one year as policy director for the Senate Armed Services Committee. Image Caption: Tugboats guide amphibious assault ship USS Bonhomme Richard at Okinawa, Japan, in March 2017. Image Source: U.S. Department of Defense, Diana Quinlan. “Navy commander, 2 others charged in bribery scheme,” Associated Press, Sep. 18, 2013, https://www.yahoo.com/news/navy-commander-2-others-charged-bribery-scheme-064224238.html. Julie Watson, “FEDS: Navy Commander Sold Secrets To Malaysian Businessman For Hookers, Gaga Tickets,” Associated Press, Nov. 4, 2013, http://www.businessinsider.com/feds-navy-commander-sold-secrets-for-gaga-tickets-2013-11. Christopher Drew and Danielle Ivory, “Navy Secretary Expands Review of Supply Contracts,” The New York Times (online), Dec. 9, 2013, http://www.nytimes.com/2013/12/10/us/politics/navy-secretary-expands-review-of-supply-contracts.html. Craig Whitlock, “NCIS agent implicated in Navy’s ‘Fat Leonard’ scandal to plead guilty,” The Washington Post (online), Dec. 12, 2013, https://www.washingtonpost.com/world/national-security/ncis-agent-implicated-in-fat-leonard-scandal-to-plead-guilty/2013/12/12/c9aa0954-6336-11e3-91b3-f2bb96304e34_story.html. United States of America v. Leonard Glenn Francis, Plea Agreement, U.S. District Court, Southern District of California, Jan. 15, 2014, https://www.justice.gov/sites/default/files/opa/press-releases/attachments/2015/01/16/francis_plea_agreement_comp.pdf. Craig Whitlock, “Defense contractor pleads guilty in massive bribery case,” The Washington Post (online), Jan. 15, 2015, https://www.washingtonpost.com/world/national-security/navy-captain-enters-guilty-plea-in-massive-bribery-case/2015/01/15/b09688ba-9ced-11e4-a7ee-526210d665b4_story.html. Secretary of the Navy Public Affairs, “SECNAV Censures Three Senior Officers,” U.S. Navy press release, Feb. 10, 2015, http://www.navy.mil/submit/display.asp?story_id=85569. Craig Whitlock, “Epic Navy bribery scandal shows how easy it can be to steal military secrets,” The Washington Post (online), Jan. 21, 2016, https://www.washingtonpost.com/news/checkpoint/wp/2016/01/21/sentencing-in-epic-navy-bribery-scandal-shows-how-easy-it-was-to-steal-military-secrets. Craig Whitlock, “‘Fat Leonard’ bribery scandal claims Navy officer who escaped Cambodia’s killing fields as a child,” The Washington Post (online), Apr. 29, 2016, https://www.washingtonpost.com/news/checkpoint/wp/2016/04/29/fat-leonard-bribery-scandal-claims-navy-officer-who-escaped-cambodias-killing-fields-as-a-child. Sam LaGrone, “Admiral Admits He Made False Statement to Feds During Fat Leonard Investigation,” USNI News (online), June 10, 2016, https://news.usni.org/2016/06/09/admiral-says-hell-plead-guilty-false-statement-charges-part-fat-leonard-investigation. Gidget Fuentes, “Retired Captain Enters Guilty Plea in ‘Fat Leonard’ Bribery Scandal,” USNI News (online), Aug. 22, 2017, https://news.usni.org/2017/08/22/retired-captain-enters-guilty-plea-fat-leonard-bribery-scandal. 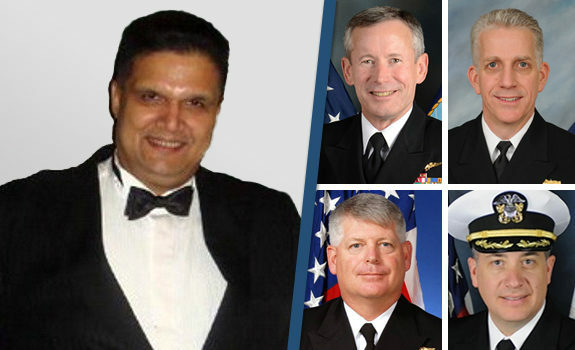 Mark D. Faram, “2 Navy officers sentenced in ‘Fat Leonard’ case,” NavyTimes (online), Mar. 6, 2018, https://www.navytimes.com/news/your-navy/2018/03/07/o-6-and-o-5-sentenced-in-fat-leonard-case. Corey Dickstein, “Officers censured for bringing ’embarrassment’ on Navy in ‘Fat Leonard’ scandal,” Stars and Stripes (online), June 20, 2018, https://www.stripes.com/officers-censured-for-bringing-embarrassment-on-navy-in-fat-leonard-scandal-1.533910.